Suckling pig is renowned for its succulent and tender meat. 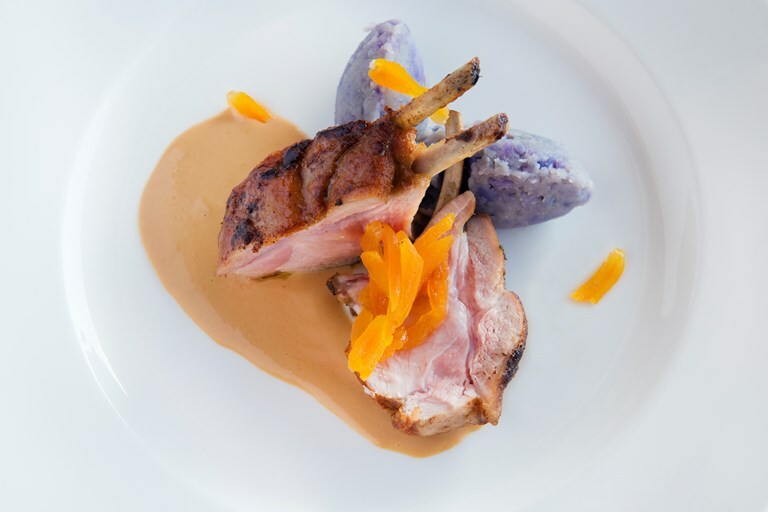 Here, Luigi Sartini chooses a rack of suckling pig for this crowd-pleasing recipe and serves it with mashed purple potatoes and a creamy garlic sauce. The chef seals in the flavour of the pork by first pan-frying the meat and then roasting it quickly in a hot oven. Ask your butcher to trim the meat for you, and to help remove the skin if needed. As San Marino's most prominent chef, Luigi Sartini is bringing the tiny republic's local cuisine to the attention of Europe's culinary elite.